Erskinville has scored another win by the way of Howard's Cantina opening above the much loved Rose of Australia Hotel. 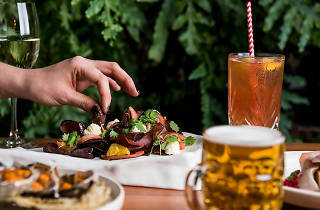 Hidden away from the hype of King Street, the restaurant and cocktail bar is all about dishing out swanky small plates and hearty share plates in a retro setting. In the kitchen you'll find Tasmanian chef Chris Bill behind the pans. 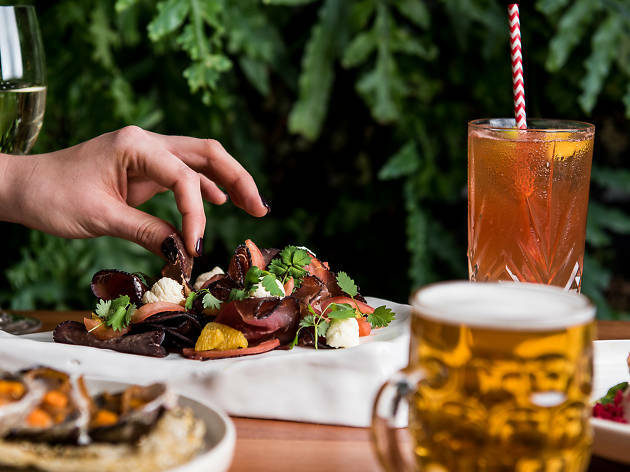 He's developed a menu that's much fancier than the pub fare you'll find downstairs – there's a wine poached lobster tail sandwich, baked Sydney rock oysters and a 600 gram strip sirloin with marrow butter to share.